Series 2 of World’s Weirdest Weather starts on More 4 tonight. I did a little work on this series – including a very early morning start to film the Severn Bore earlier in the year. Not only the famous wave which goes inland along the River Severn but a surfer – on the wave talking to camera. I was very pleased with the results at the time so I’m hoping there is a good slice of this used in the actual programme. Kit used was an Audio 2040 radio mic in an aquapac with a countryman B3 mic. 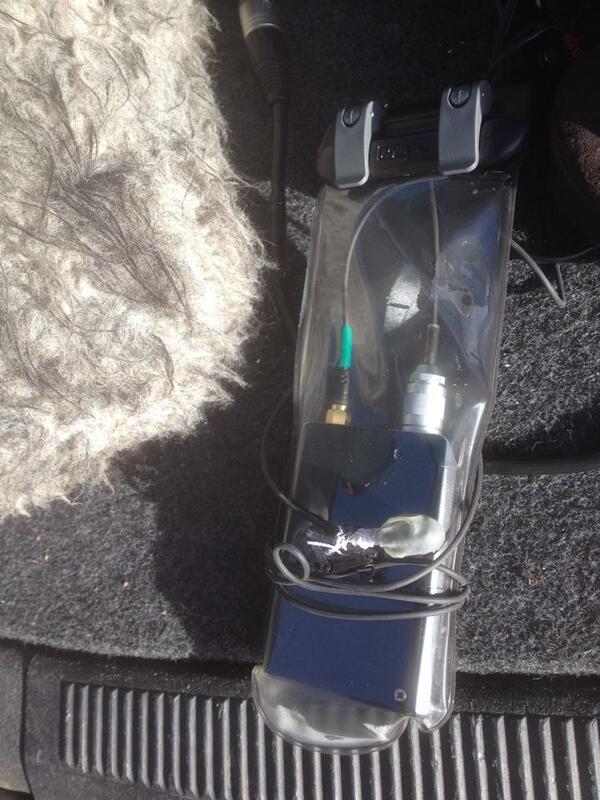 The actual mic had a small furry windjammer on it and was wrapped as neatly as possible in a cut down un-lubricated condom. It had to be clipped on the the collar of the surfer so I also tied the clip on to the microphone lead – I’ve lost too many in the past. He was wearing a hat, but as he thought he was likely to lose it at some point during the surf I did not go with that for placement. The transmitter pack was placed between the surfers shoulder blades to minimise the amount of time it would spend under water whenever he came off he board – which was lots! Signal breaks every time the aerial is immersed. It was one of the most hairy boat rides I have ever had but thankfully we had an excellent skipper. Even so it was very wet and very bumpy – particularly as we crossed the wave several times during filming. 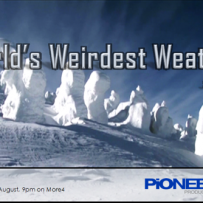 Worlds Weirdest Weather starts broadcasting in the UK on More 4, 9pm Wednesday 13th August. Text of this website and most photographs are (c) Mary Milton unless otherwise stated.